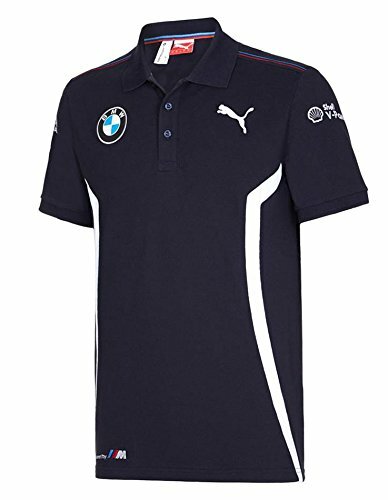 A classic fitted tee polo shirt with BMW logos. Ribbed flat knit self fabric collar. Machine washable.